Home > Hair Care > Hair Treatments > Hair Oils & Cuticles > Queen Helene Jojoba Hot Oil Treatment 8 Oz. 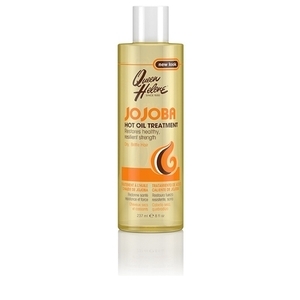 Jojoba Hot Oil Treatment 8 Oz. Designed for dry, brittle hair, this heat activated oil treatment combines nourishing Jojoba Oil and strengthening Pro-Vitamin B5 (Panthenol) to add soothing moisture to dry hair and scalp, while helping to support stronger, healthier hair growth. Hair is restored back to its healthy, resilient strength. For external use only. When using this product keep out of eyes. Rinse with water to remove. Keep out of reach of children. Shampoo hair and towel dry. Place tube in a cup of hot tap water for one minute. Holding top edge of tube, twist off tip. 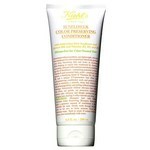 For longer hair, apply full contents. 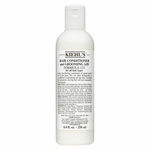 For shorter hair, apply half of contents. Reseal tube by inserting tip into opening until it snaps in. Massage through hair and scalp, cover with warm, damp towel or plastic cap for 3 minutes. Rinse thoroughly with warm water. Towel dry and style as desired. 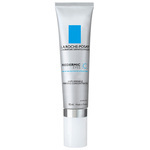 Water (Aqua), PPG-12-PEG-Lanolin Oil, Propylene Glycol, Simmondsia Chinensis (Jojoba) Seed Extract, Panthenol, Keratin Amino Acids, Polyquaternium-10, Cetrimonium Chloride, Methylparaben/Propylparaben, Disodium EDTA, Diazolidinyl Urea, Caramel, Fragrance (Parfum).